With MSG Browser a user can view all the contents of an MSG file with their attachments. Outlook is not required to view the email contents. The user can preview the complete properties of MSG file in a Windows Explorer-like interface. 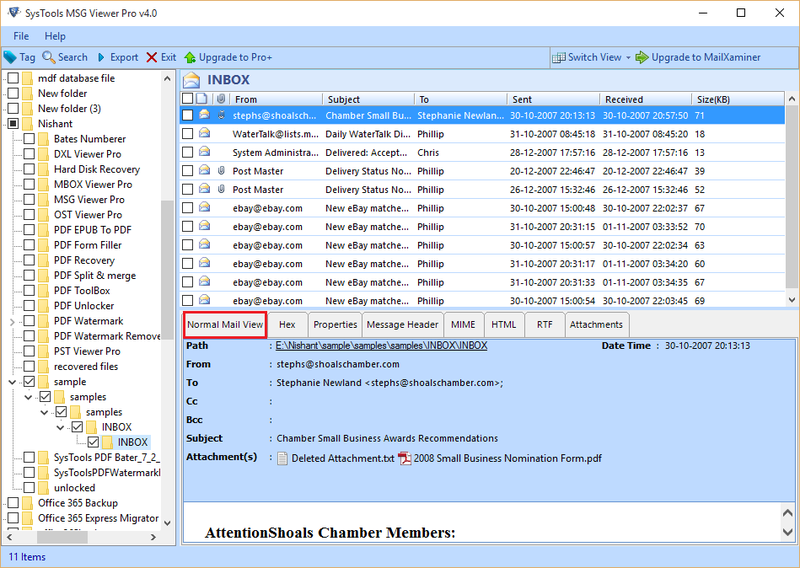 View the MSG email with proper formatting in the inbuilt software viewer. The MSG Viewer software provides users feature to view their email files in seven different formats. These formats include Normal, property, message header, Hex, RTF, MIME, and HTML views. The HTML view allows a user to view their email message on any web browser. 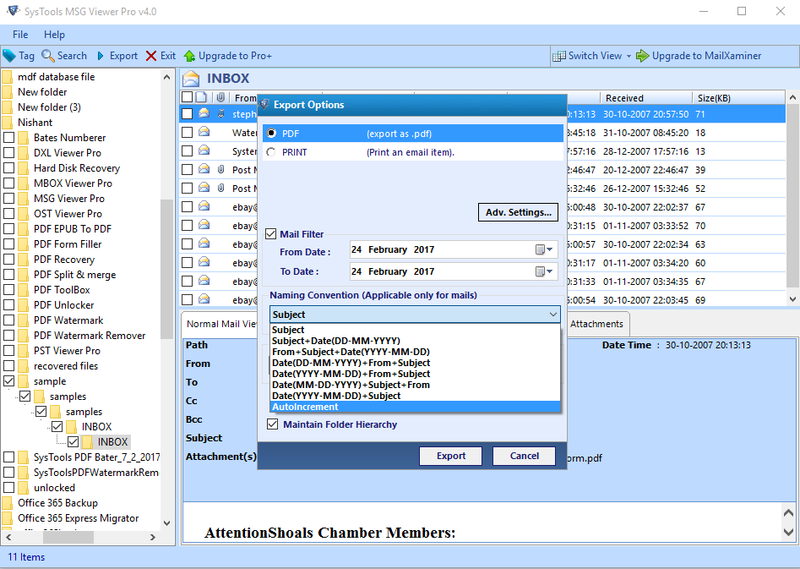 The RTF view enables users to read their emails in text editors like MS Word. On launching the MSG File Reader, the software displays all the contents of users computer on the left panel. Scan through all the drives to find MSG files and folders. Users can choose to select single MSG file or a folder with MSG files. Click on the folder to load all MSG files. To select multiple MSG files, tick the checkbox next to the file and click Export. The MSG Browser has a powerful search capability to search within an MSG file or its attachments. Users can filter search based on a phrase or a specific keyword. The search extends to email’s body, cc, header, to, date and attachments. Filtering files save a lot of time from exporting unnecessary files. 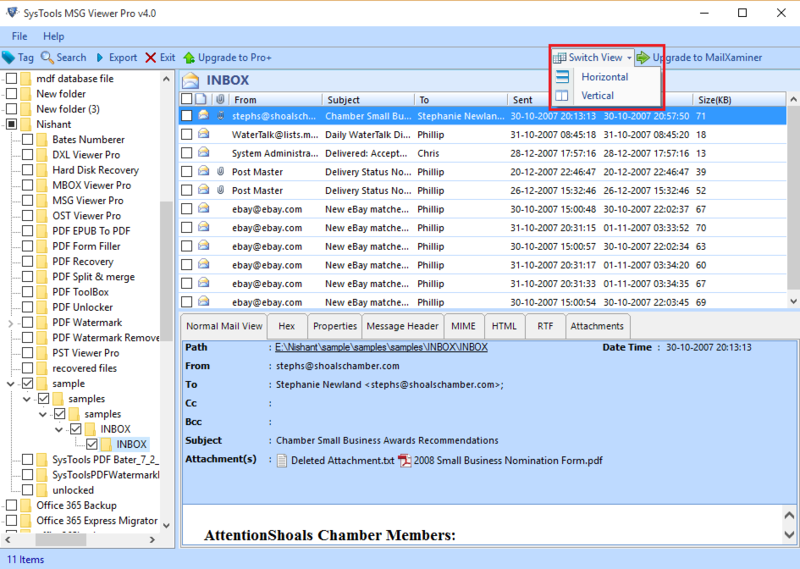 The MSG email viewer tool provides users the feature to switch between screen modes. A user can change screen modes from the top panel of the viewer pane. There are two modes of view available to the user. One is the horizontal view where the file explorer pane is on top and email views at the bottom. The other is the vertical view where a user can view the emails and system files right next to each other. 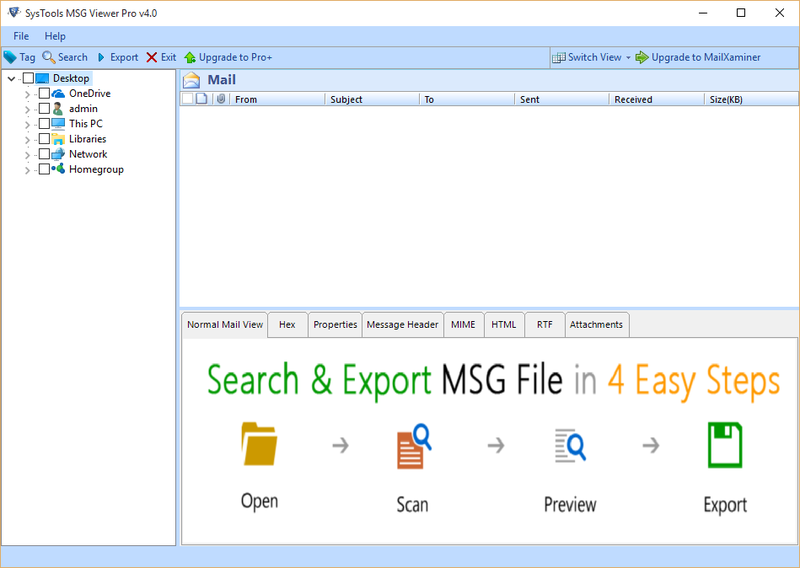 Once the user scans and loads the MSG file, the MSG Mail Viewer allows a user to sort the listing. 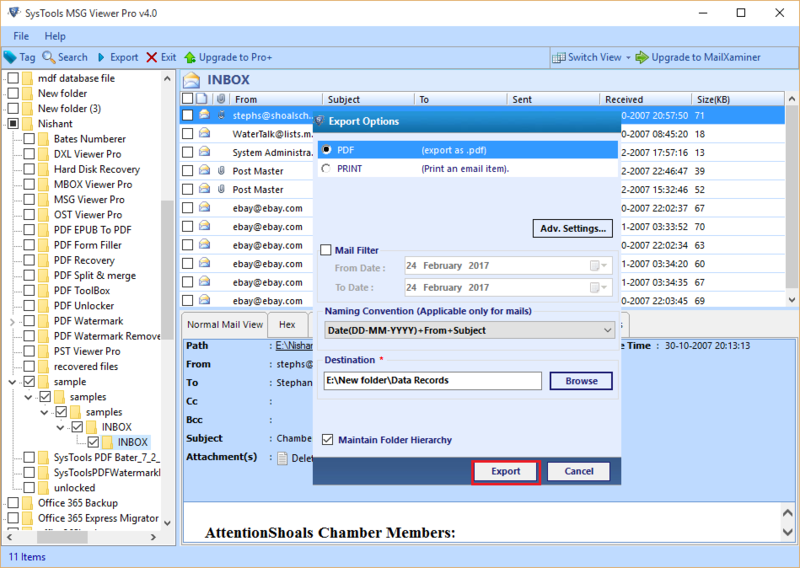 The user can re-arrange MSG files based on email properties like to, from, sent date, received date, subject, and file size in KB. The user can also filter conversion based on a ‘to’ and ‘from’ date. The user can also choose from different naming convention to give to their resultant files. 1. Does the Outlook Message Viewer work on Mac systems? Ans: No, the MSG Browser does not support Mac operating system. Although it supports all versions of Windows including Windows 10. Q 2. Can I use MSG Email Reader tool for commercial purposes? "My company is looking for a utility tool to view emails in MSG file format. We are a small business and would like to know if the MSG Mail Reader a free to use the tool? Are there any licensing required to use this software?" The MSG Mail Viewer is completely free to use for a lifetime. No licensing information is needed since it is a freeware. Q. 3. Where to access email attachments after export? 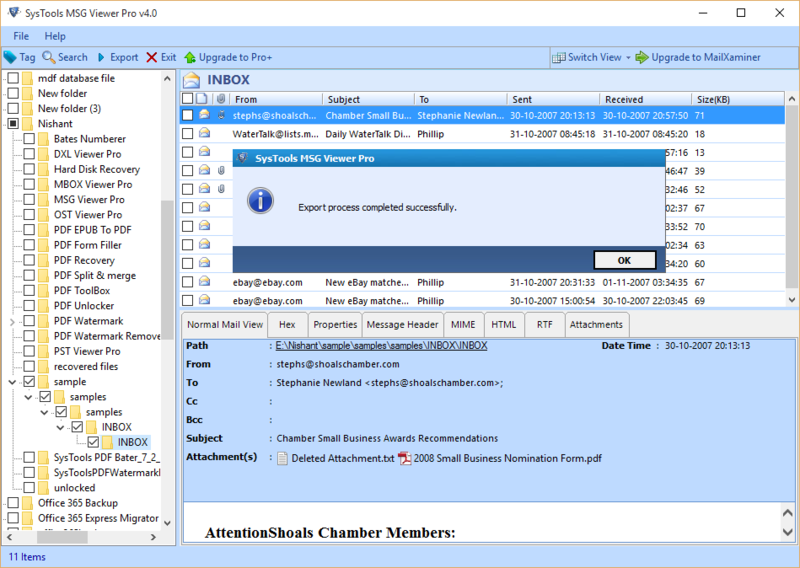 "I have exported some of my mailbox items using the MSG Viewer utility software. However, I am unable to view my attachments in the folder location where I stored my exported files. Are the attachments exported? Where can I find the attachments to the emails I have converted?" Ans: Yes, the attachments are exported along with emails header and body. The attachments are embedded with their respective PDF file in their original format. After opening the PDF file, click on the “Paper Clip” icon to view the respective attachments. Q. 4. How many files can be viewed using the MSG emails viewer tool? "I want to know how many files can I scan and load into the MSG emails reader software?" Ans: Users can view an unlimited number of files using the freeware MSG email viewing tool. Step 7 : Now, a new Export Options window will pop-up. 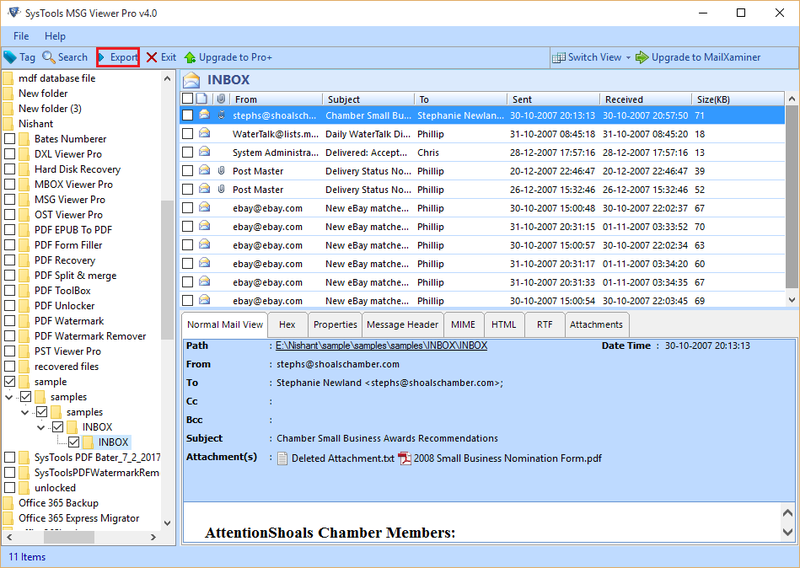 Set a ‘to’ and ‘from’ date to filter emails. Also, Choose the appropriate naming convention for the resultant files. Step 8 : After that, Browse to the folder location where the resultant exported files will be saved. Then, click Export to start the conversion process. Step 9 : Next, a message box will appear indicating the completion of the conversion process. Click OK on the message box to proceed further. Step 10 : Finally, a conversion report will be generated in CSV format. Browse to a folder location where this export file can be saved. 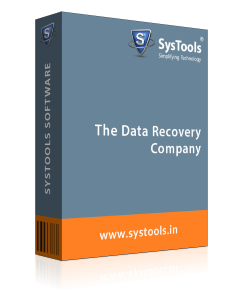 Refer to this file later to identify processes completed within this conversion process. Step 11 : To view the resultant files, Browse to the folder location in Step 8. All the files will be saved in the naming convention suggested by the user. It is a very easy-to-use, reliable software solution to viewing all my MSG file under a single platform. I can now convert them to multiple styles and reserve my attachments. It is a very efficient tool and best of all it is completely free to use. Thanks! I really appreciate the development team to coming up with this viewer software. I have used it to access my own emails and would be recommending other to follow suit. I want to grateful to the developers.